Since last November, Veranda Resorts has introduced new activities to brighten up their guests’ stay: the Pop Up Moments. Coco’lidays is one of them. 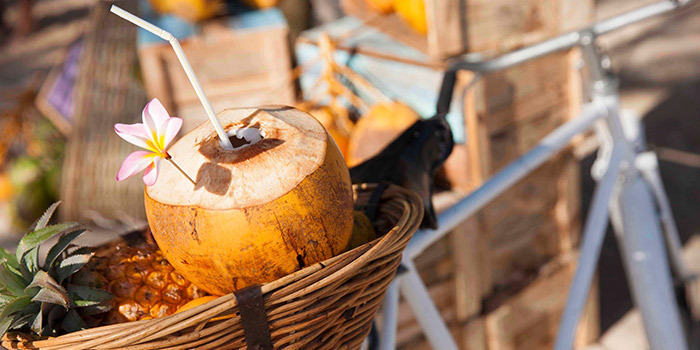 Hotel residents are invited to a delicious break where 100% Mauritian natural coconut water is served as refreshment. When it comes to relaxing, Mauritian people got it right: the best way to cope with the summer heat is to indulge in a well-deserved refreshful break! Everyday, Veranda Resorts’ hotels invite their guest to refresh themselves and live to the moment with Coco Up. It is the ideal break to recharge batteries between two activities and relax at the end of the day! Our partner Coco Up just cannot stop praising the benefits of this 100% natural drink! Coconut water has become particularly popular these days, not only because of its delicious taste, but also thanks to its various nutritional qualities. 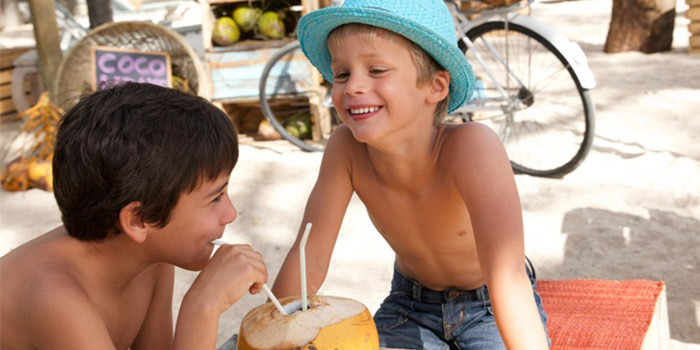 Rich in vitamins, minerals and dietary elements, coconut water is the new trendy health drink! Indeed, coconut water has become the best friend of those who come on holidays for a detox cure. This low-sugar drink helps eliminate cellulite and adverse effects of alcohol and smoking. Thanks to its highly hydrating properties and high levels of potassium, it ensures optimal recovery after physical exercises. Coco Up, a small local start-up, produces fresh coconut water, sorbet and chatini using natural methods. Veranda Resorts is proud to partner with this young industrious company, which contributes to spread the word about Mauritius as a land of talent and innovation. http://www.coloursmauritius.com/wp-content/uploads/2015/02/pop-up-moments-cocolidays-veranda-resorts.jpg 350 700 evovlh19 http://www.coloursmauritius.com/wp-content/uploads/2018/04/colours-main-logo.png evovlh192015-02-25 08:12:122015-05-12 09:51:22Coco’lidays for energising holiday breaks! The Domaine de Bel Ombre is the ideal spot for a variety of sports. 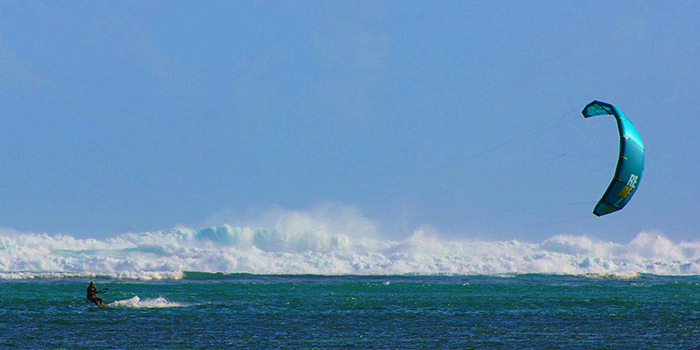 Kitesurf, the latest trend in adventure sports, is one example. In partnership with KiteGlobing, Heritage Resorts allow guests to give it a try during their stay. Ready for a rush of adrenaline? 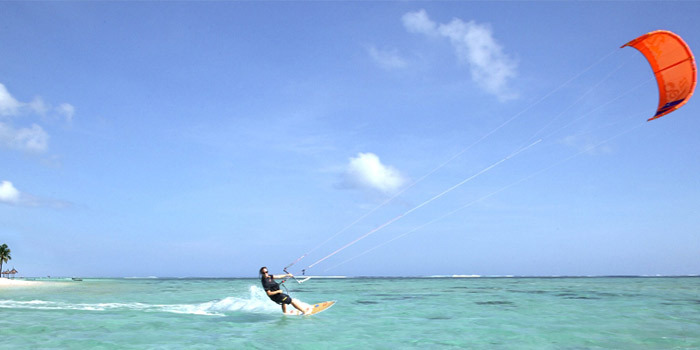 KiteGlobing, Heritage Resorts’ partner kitesurf school, is located near the C Beach Club. Facing turquoise waters and cradled by the sea breeze, this kite spot is ideal for beginners to get a smooth start and for regular riders to take off in a spin! Whether in the lagoon or in deep sea, the difference in tides and cross-shore winds makes it the ideal playground for all levels! Managed by kite addicts, Kathrin Kühnert and Maxwell Ernest, the VDWS-certified school provides state-of-the-art equipment from the North brand to both trainees and experienced riders who have come to discover the region. They can hire the complete kite gear: kite (bar +), harness, board, shoes and helmet for 1 hour to up to ten days! Before reaching the expert level, one needs to practice. Kathrin and Max offer complete coaching to those looking to experience new sensations. Two hours of private or semi-private sessions ensure optimal learning, and each instructor is VDWS or IKO certified. Heritage Resorts, the ideal choice for vibrant holidays! Guests looking for extra excitement and thrills during their vacation will find in Heritage Resorts a whole range of sports infrastructures: a 18-hole championship golf course; Frederica Nature Reserve for those who enjoy treks and outdoors activities; and a stretch of water along a kilometre-long beach offering the possibility to practice all water sports, from stand up paddle to kitesurf! The C Beach Club’s ideal location makes it “the” place to kite in the region! The wonderful beach, immense lagoon and cross-shore wind of Bel Ombre are the key factors to a truly sensational experience for all kitesurfers. After several hours in the sea, guests can enjoy a swim in the C Beach Club’s pool or lounge in one of its sunbeds, love nests or four-posters for a well-deserved rest. The club also includes two restaurants, one bar, wireless connection and children’s playground. 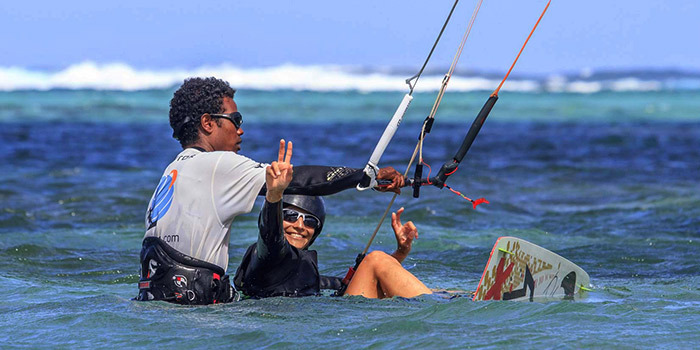 http://www.coloursmauritius.com/wp-content/uploads/2015/02/kitesurf-mauritius.jpg 350 700 evovlh19 http://www.coloursmauritius.com/wp-content/uploads/2018/04/colours-main-logo.png evovlh192015-02-06 07:18:032015-04-24 12:26:04Kitesurf trend reaches our shores!